Why it is necessary to treat the teeth during pregnancy. The slow destruction of the teeth is not the worst thing that can happen if they are not treated in time. Any oral problems are a source of inflammation, a source of infection, which can have negative impact on the development of the fetus. The presence of infection in the oral cavity of a pregnant woman can have consequences and after childbirth for both mommy and the baby. When it is better to treat the teeth during pregnancy. You can do this at any time, literally from the first days, when you found out about your interesting situation. But, as you know, pregnancy is conditionally divided into three periods — the trimester. In the first trimester, the child’s organs and systems are only laid, and any intervention at this stage is risky. The same goes for the third trimester. It means, that treatment of teeth is better done in the second period. Treatment of teeth in pregnant women. 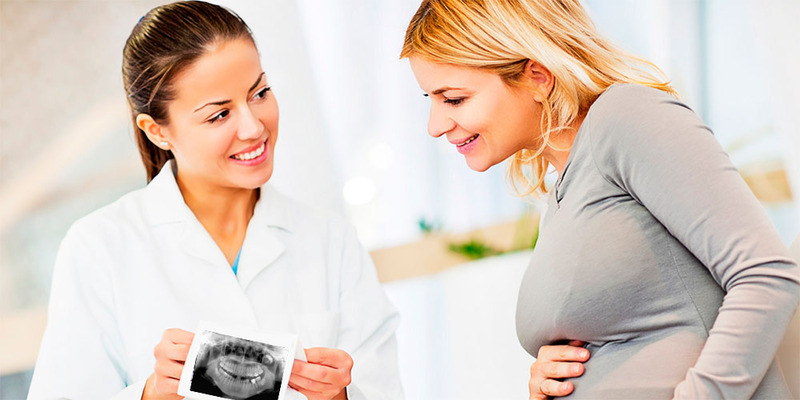 Treatment of teeth in pregnant women requires the dentist certain experience in this direction. You need to know exactly which drugs you can use in one or another case, imagine what you need to do if something goes wrong. — Individual selection of Hygiene and prevention from advanced Swiss companies.